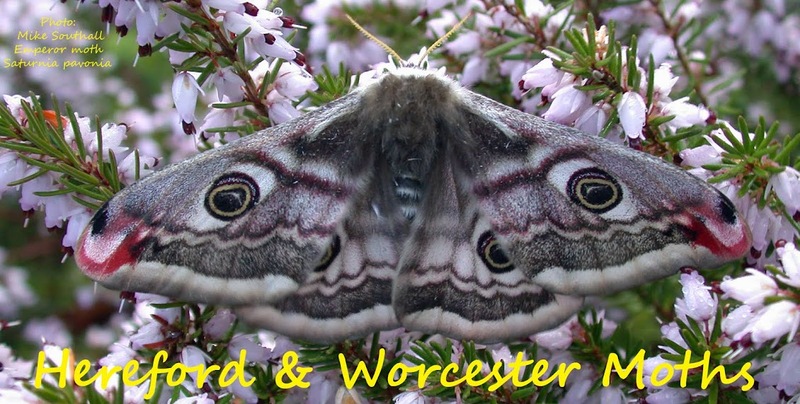 Hereford and Worcester Moths: Another from the wood store. Another from the wood store. Only my second garden record for jurassicella but my third Mompha species for the year, the other two being M. langiella and the inevitable M. subbistrigella (5 individuals). 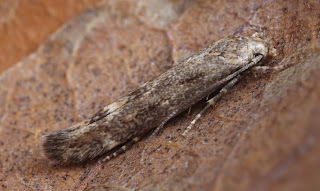 All I'm disturbing are the 2 Agonopterix species - heracliana and a few ciliella. My moth trap still is gathering dust. Maybe next week? have you worked out how to do ciliella visually ? Presumably once you know what one really looks like you don't need to gen det the others! Life is not so easy Steve. You can't tell heracliana from ciliella using genitalia - certainly the males. The female differences are very subtle. More often than not ciliella is slightly larger and has a pinkish tinge to the wings, but to be sure, I check for the 5 lines on the hindwing cilia. I have never knowingly seen ciliella - I have only checked the cilia on a handful of 'suspect' heracliana but without success. The next one that appears I'll try and photograph, although the wood shed, where most of my sightings were last year, has been temporarily removed. Hummingbird Hawk-moth at Kidderminster 3rd Feb.